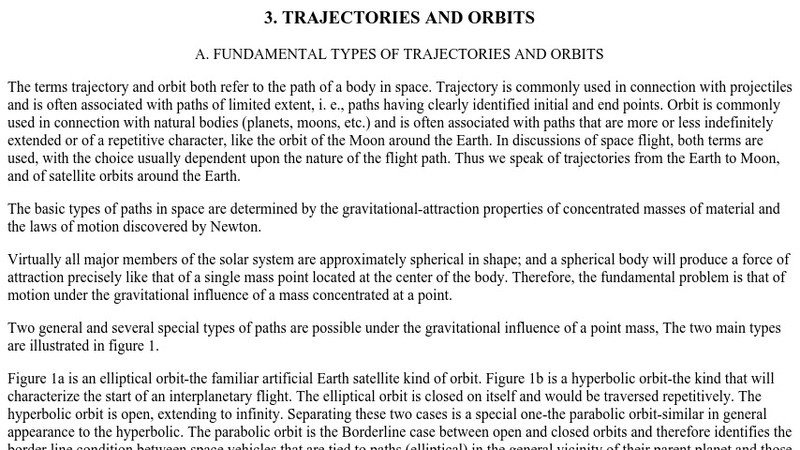 Materials presented here outline some basic concepts associated with space flight. Users can read about orbits and the difference between an orbit and a trajectory, escape velocities for Earth and some planets, launch velocities and transit times for interplanetary flights, and the effects of time dilation for astronauts travelling at near-light speeds. This is part of the famous Rand corporation study that was commissioned by Congress in 1958 after the Soviet Union stunned the world by launching Sputnik, the world's first artificial satellite.